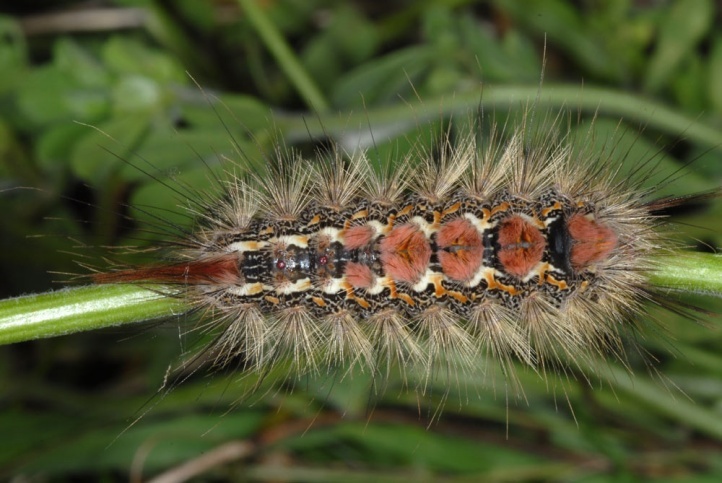 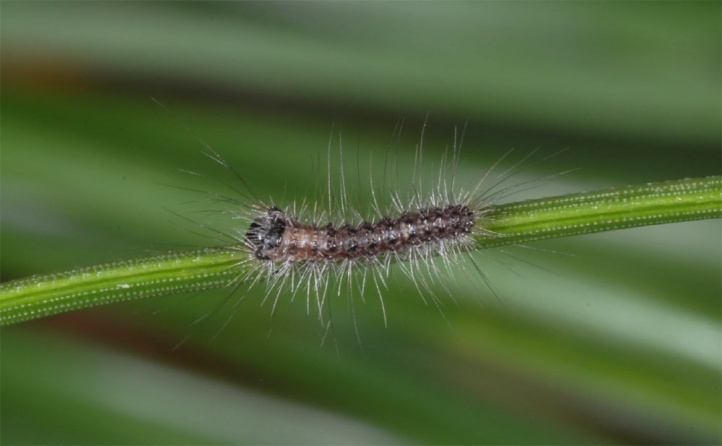 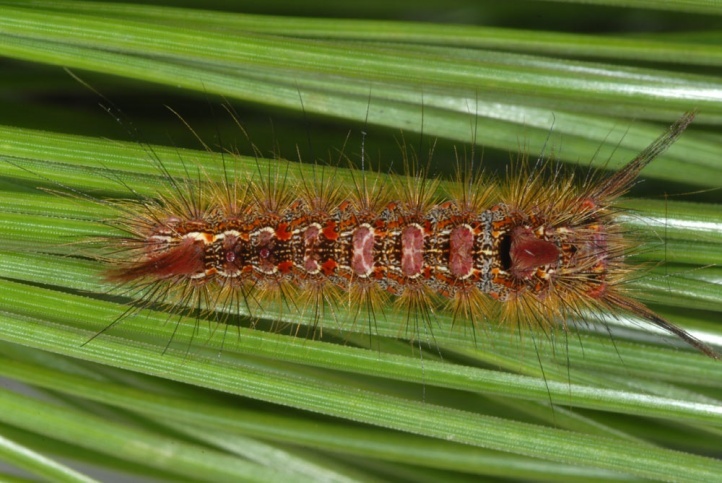 The larva is quite polyphagous on woods and partly also herbs (Fabaceae). 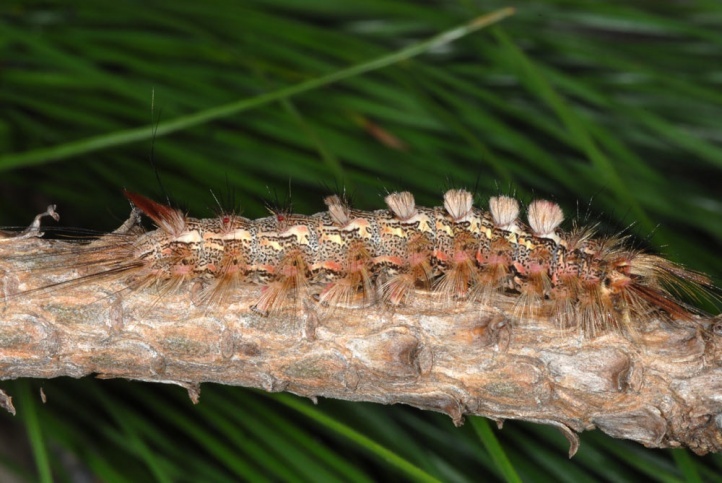 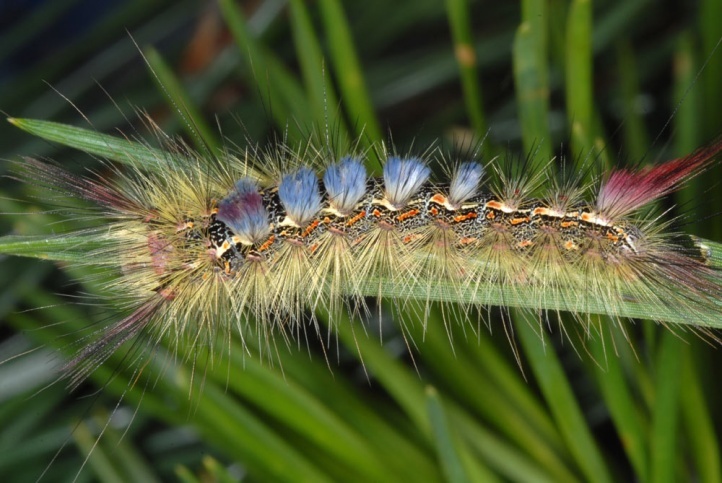 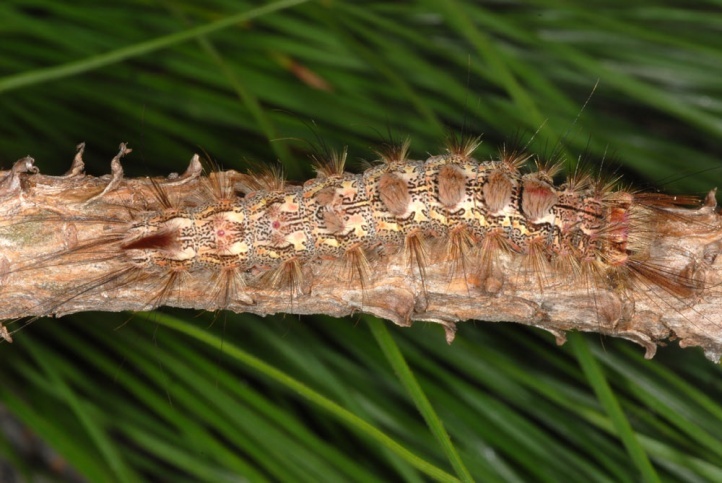 In La Palma, I found the caterpillars in December 2010 and 2012 mainly on pine (Pinus canariensis), additionally also on Lotus and Adenocarpus foliolosus. 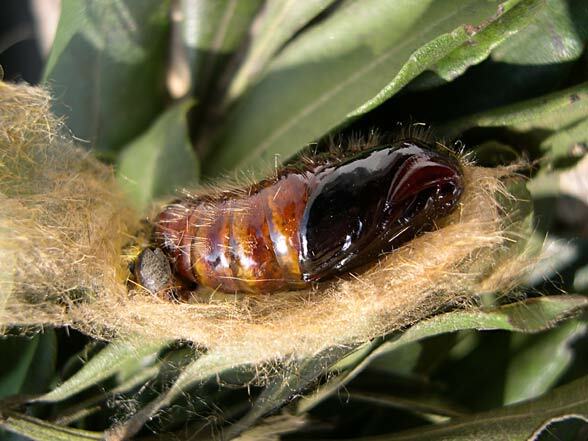 In La Gomera, however, I found it usually on Myrica faya and Erica arborea. 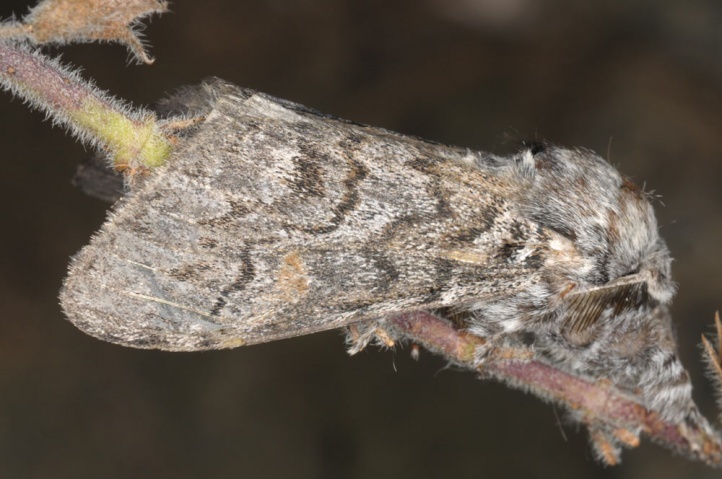 These specimens often accepted no other plant. 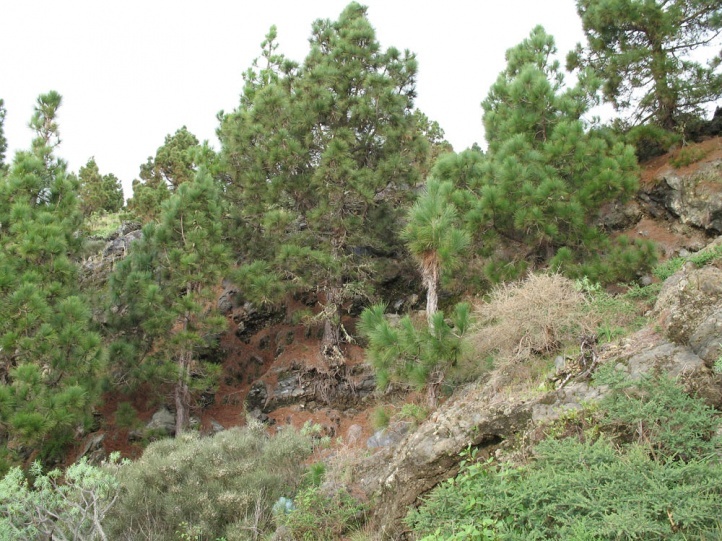 In La Gomera, Pinus canariensis is available in low stocks today, but probably introduced from the other islands and the species does not seem to use this tree there in larger extent. 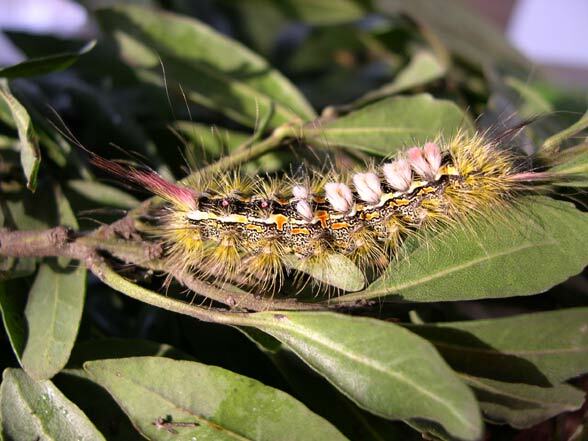 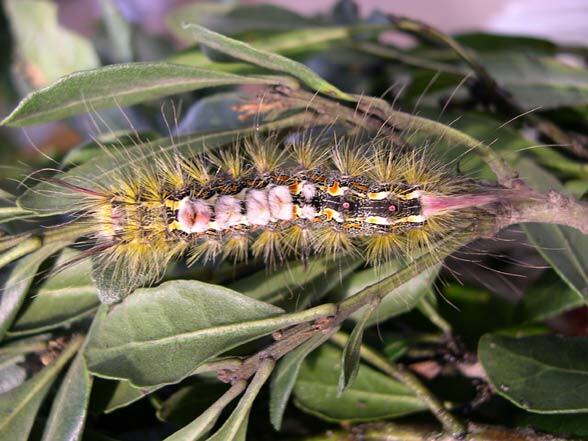 In February 2012 I observed few larvae also on Chamaecytisus proliferus and Salix canariensis in La Gomera. 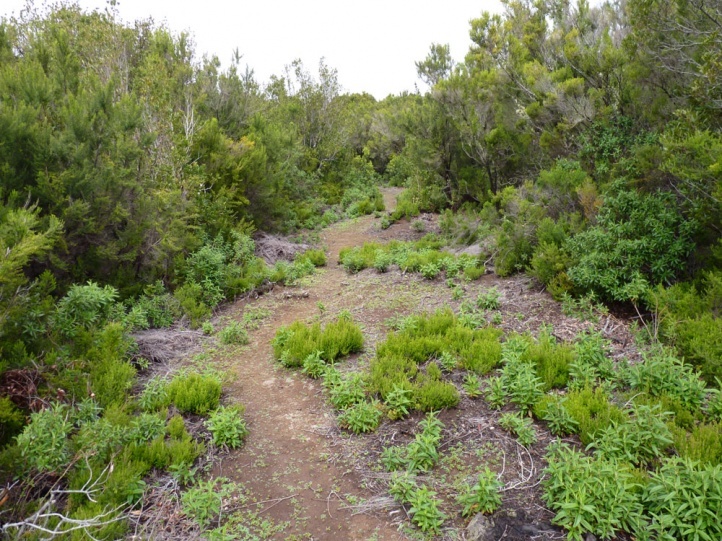 In La Gomera, Calliteara fortunata usually lives in and on the edge of laurel forests, and even in drier terrain with tree heath, brooms and single Myrica faya. 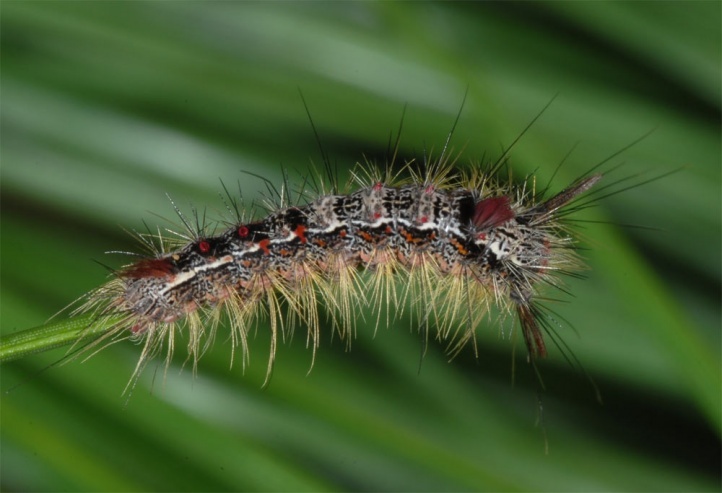 In Gran Canaria, La Palma and Tenerife Calliteara fortunata is a typical inhabitant of the pine forests. 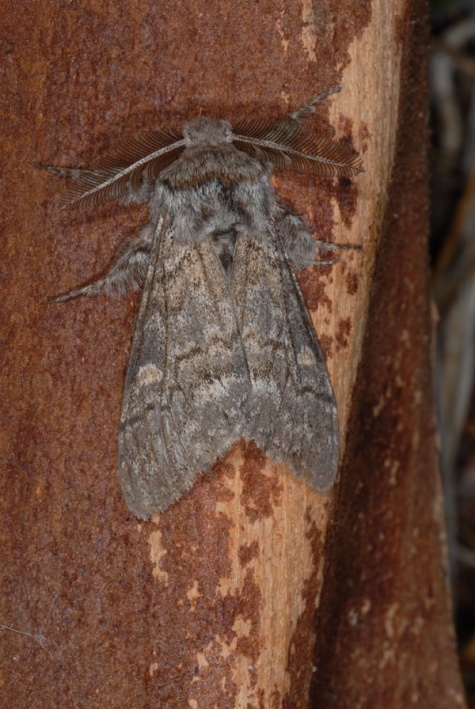 According to literature Calliteara fortunata has several generations per year and can be observed throughout the year. 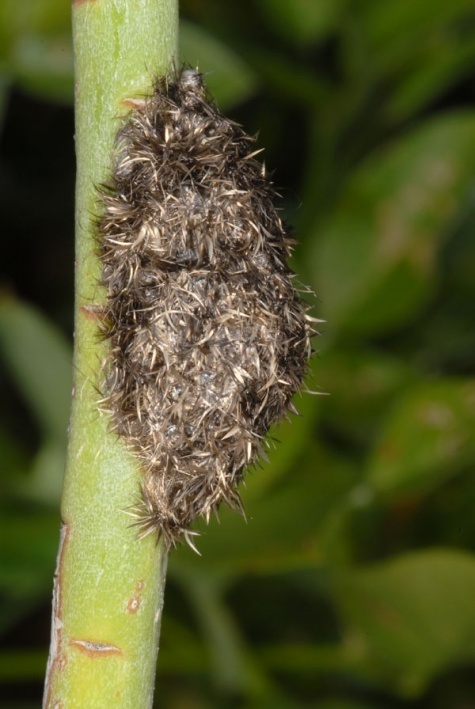 I found caterpillars on Myrica bushes in penultimate and final stage at Christmas 2005 and mature ones in late March 2006 (Gomera). 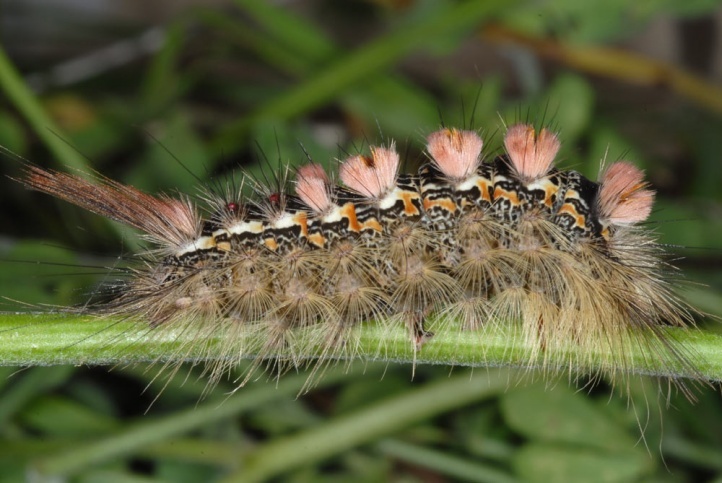 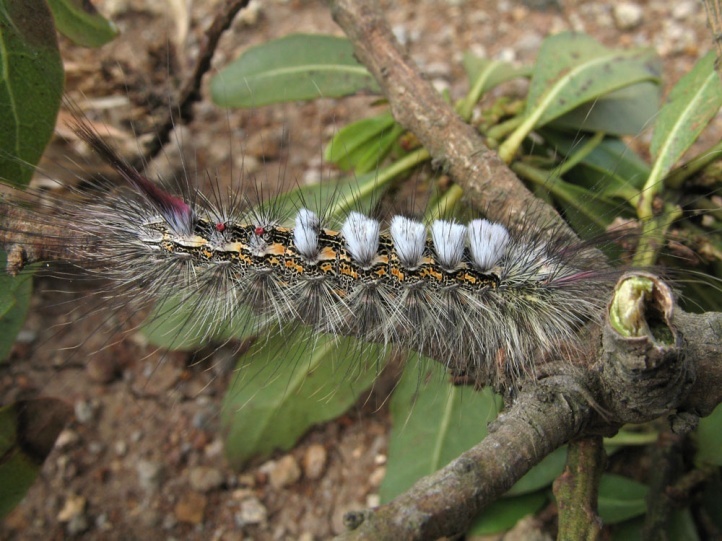 In La Palma, I found adults and caterpillars of all instars in December 2010 and 2012. 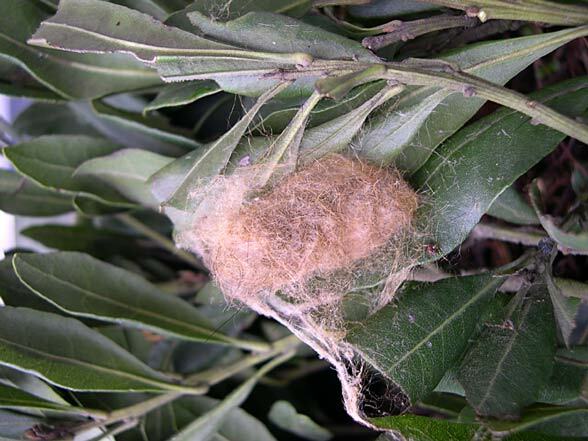 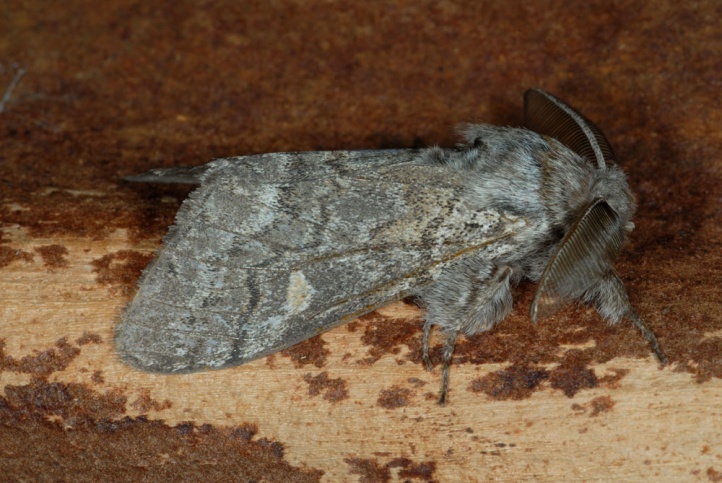 Oviposition takes place in large baggily clutches that are interspersed and covered by the female wool hairs. 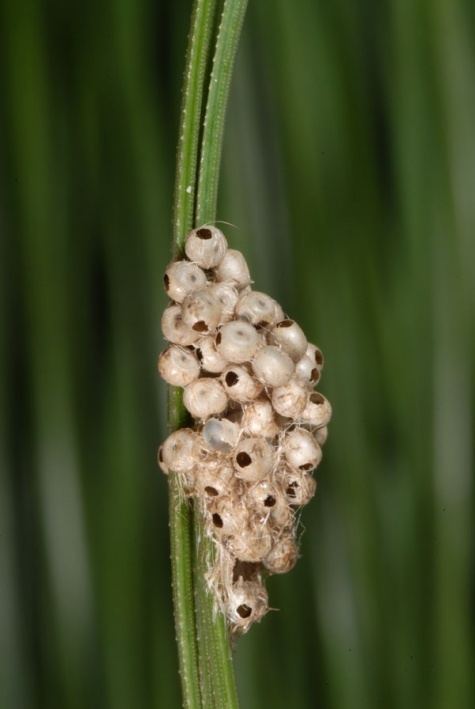 Thes clutches are attached to pine needles, twigs and stems or blades - not necessarily on the host plant. 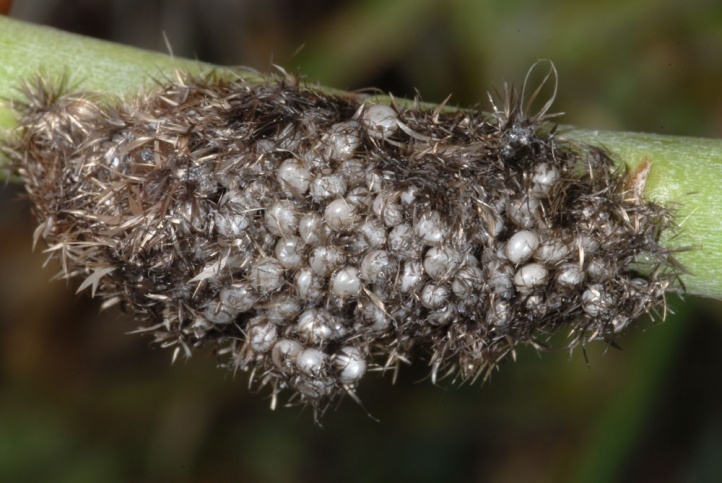 I observed eggs attached on a Euphorbia stem in La Gomera in February 2013. 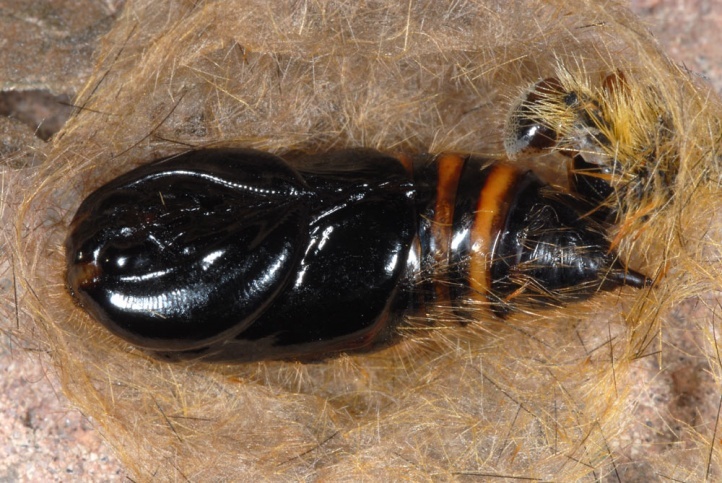 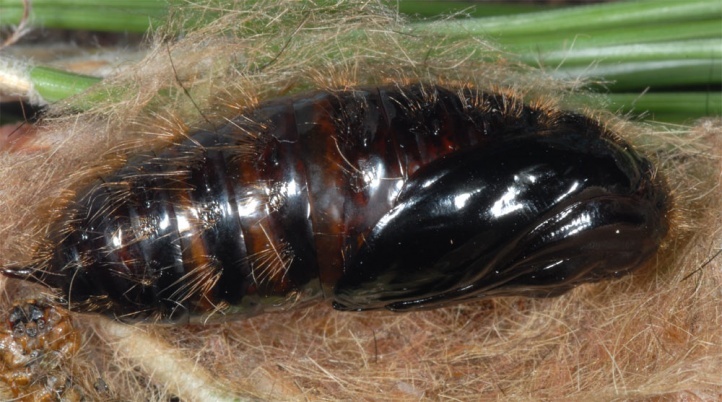 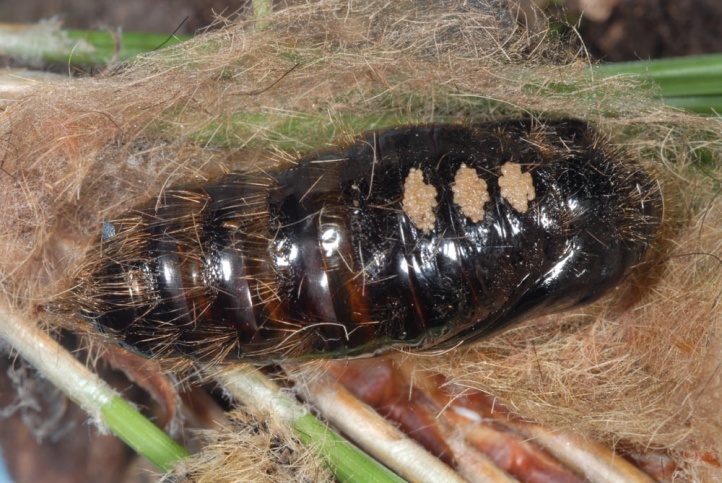 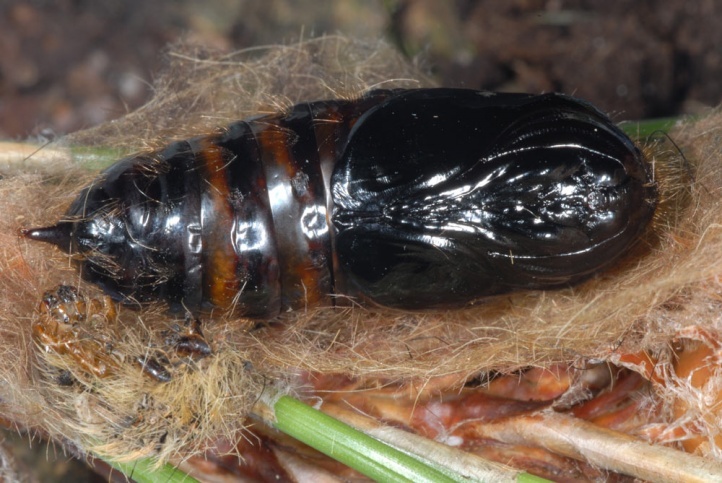 Pupation takes often place in acocoon under loose bark of pine trunks (observations in La Palma), but also in the litter. 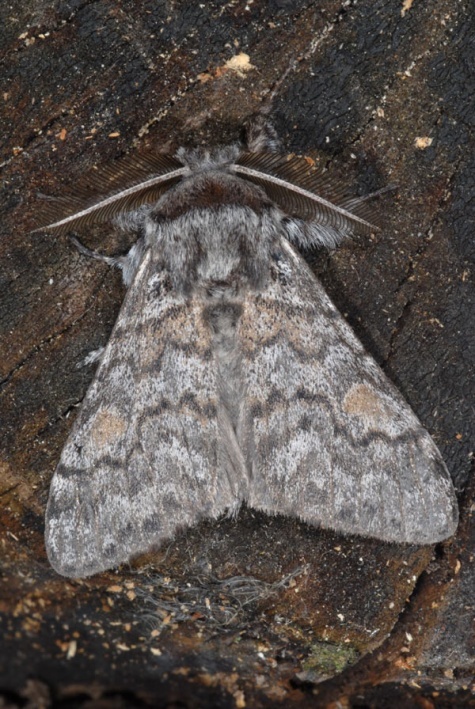 Calliteara fortunata has been pushed back due to tourism and the decline of forest areas in the past decades in places. 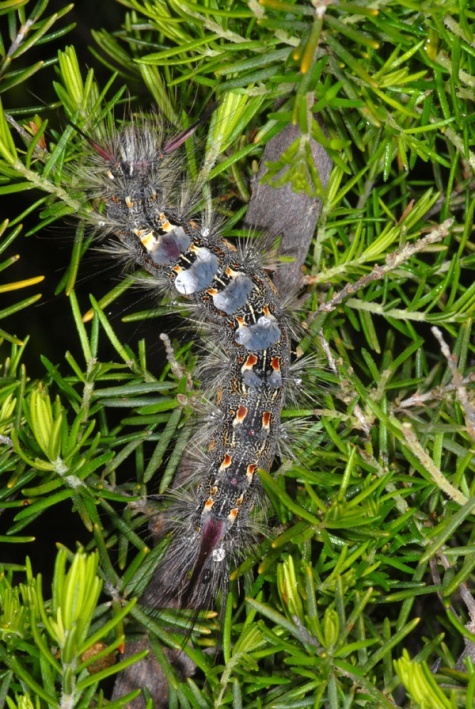 But it still belongs to the most common species on some islands and is even regarded as a pest species is pine forests. 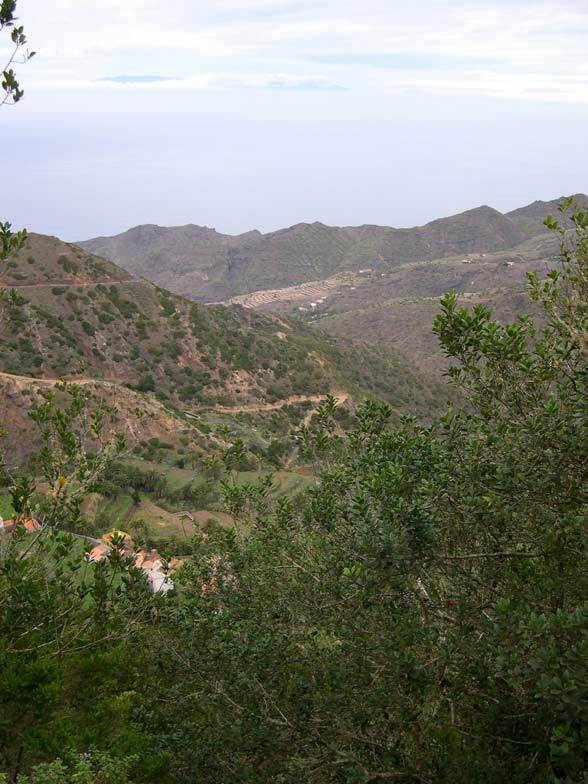 Calliteara fortunata is endemic to the western Canary Islands (in the east to Gran Canaria).